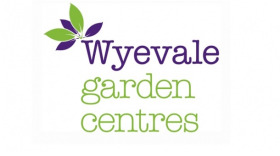 Wyevale Garden Centres has announced today that two transactions for a total of six centres has been sold to garden centre groups Hillier Nurseries Limited and Otter Nurseries Limited. Wyevale Garden Centres has said the deals are expected to complete during June and July. Christie & Co, the specialist business property advisor managing the sale process on behalf of WGC, have run a two-phase process that has achieved considerable interest from a wide variety of buyers, Wyevale has said, with the most recent centres sold being Barnett Hill and Seven Hills.